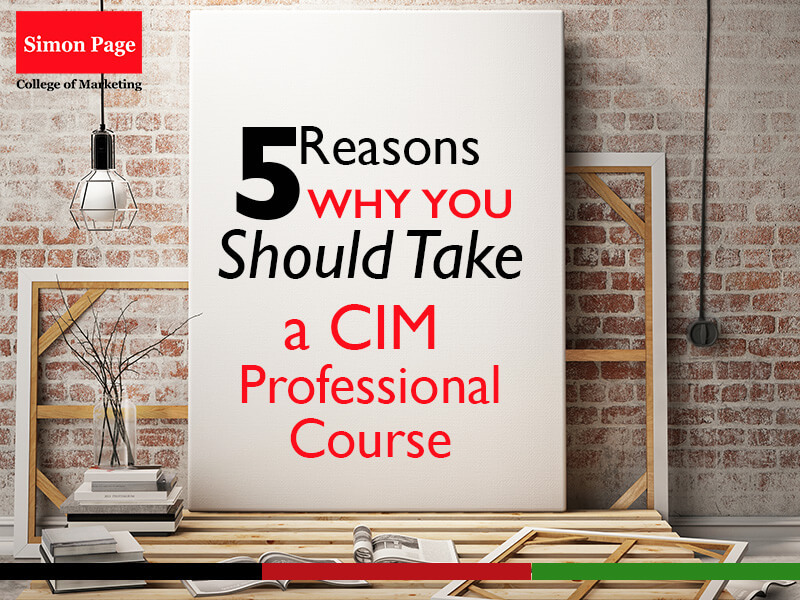 Let’s face it; before undertaking a CIM professional course, you want to know one thing: What are the benefits. You know how filters make photos look great? Well, a CIM professional course is a filter for your CV. Most employers will opt for candidates that have additional qualifications on their CV’s. It shows that the person is capable of taking initiatives to develop themselves. This is a characteristic employers are keen on; such people are good for the growth of organizations. A CIM professional course has the luxury of flexible study options. This means that you can balance your professional, academic and personal lifestyles. The ability to choose study times and options that work best with your schedule is attributed to the number of study centers across the country offering CIM. At Simon Page; we have great study options including online classes for more convenience. In employment; the best reward for your effort and hard work is recognized by a promotion. A CIM professional course under your hat will definitely put you ahead of the pack when candidates are being considered for a promotion. As mentioned in the first point above; it shows initiative. You are also presenting yourself as a candidate who has not only gained experience on the job but also gained extra skills in the process. Whether you are a seasoned marketing executive or you are developing a young interest in marketing for your own personal reasons, there is a CIM professional course tailored for each individual. You do not have to spend your time mastering content that will be irrelevant in your pursuits. For example, at Simon Page, there are dedicates staff that will guide you along the selection journey ensuring you land a course that fits both your career and personal expectations. Unlike most courses, a CIM professional course comes with a lot of support. This comes in the form of study centers, tutors and the CIM international body itself. This makes you part of a greater community and also broadens your networking landscape once you become a member of the esteemed body. This is great for new ventures as well as employment opportunities.